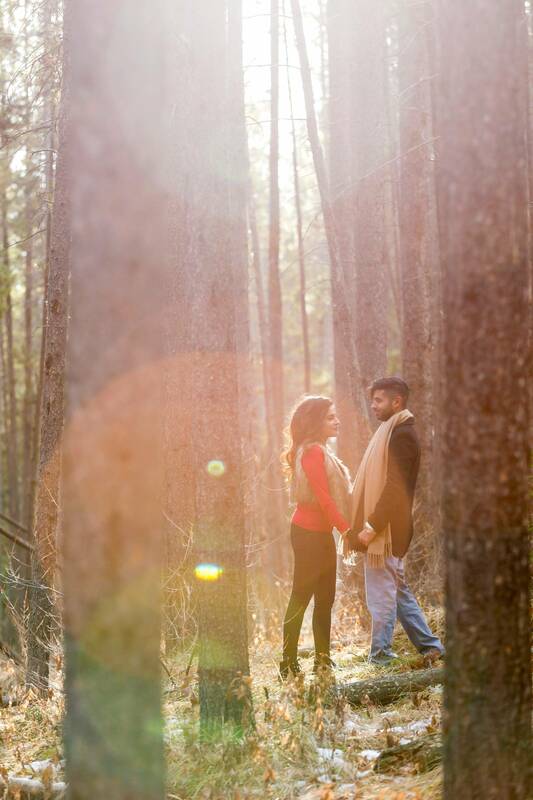 Engagement sessions in and around Banff are so much fun especially when you have a photogenic couple like Neety and Abhi. Two minutes after I met these two in the parking lot we were already laughing and joking around. We started off at Lake Minnewanka where a seriously cold wind made it a challenge for the three of us. Moving into the forest nearby gave us relief from the wind plus I'm a huge fan of photographing amongst trees. I've recently been drawn to leading lines so a nearby bridge was the next stop. 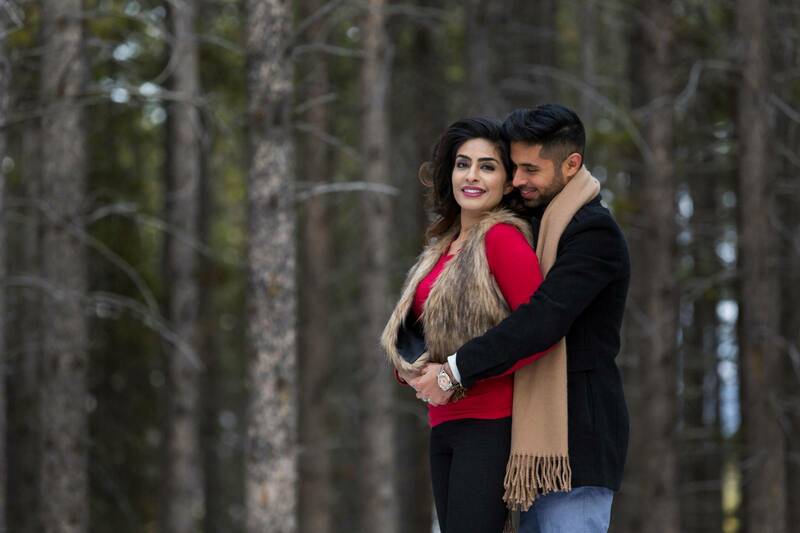 If you want to see more Banff and Canmore Engagement Sessions click here.